Know your pressure points. When looking at your business, there are a few categories that drive your business success. Do you know the top four drivers of your financial success or failure? By focusing on the key financial drivers of your business, success will be easier to accomplish. 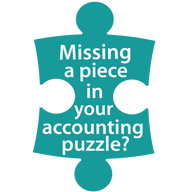 Recommendation: Look at last year’s tax return and identify the key financial drivers of your business. Do the same thing with your day-to-day operations and staffing. Learn your point of difference. Once you know who your customer is (your target audience), understand why they buy your product or service. What makes you different from others selling a similar item? Recommendation: If you don’t know what makes your business better than others, ask your key customers. They will tell you. Then take advantage of this information to generate new customers.